Taste of London is a truly unique event, where discerning and knowledgeable foodies come to sample signature dishes from the latest, greatest and most exciting restaurants in London, all set in the stunning surrounds of Regent’s Park. Experience the social whirl and glamour of this spectacular event with Michelin starred cuisine, fine wines and first class service from the privacy of your own luxurious enclosure. 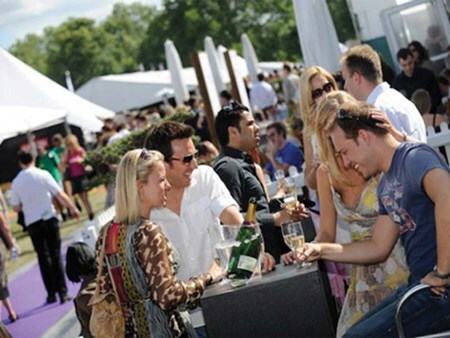 Hospitality Finder are pleased to provide official hospitality packages for the Taste of London Festival at Regent's Park. The Garden Party package allows you and your guests to enjoy the festival feel that the Taste of London produces, with opportunities to view all the culinary action taking place. Indulge in your own private hospitality area with the gourmet hospitality package, a champagne reception awaits you and your guests before you take an exclusive seat at the chef ’s table. Can't find your favourite Taste of London - Wednesday package?